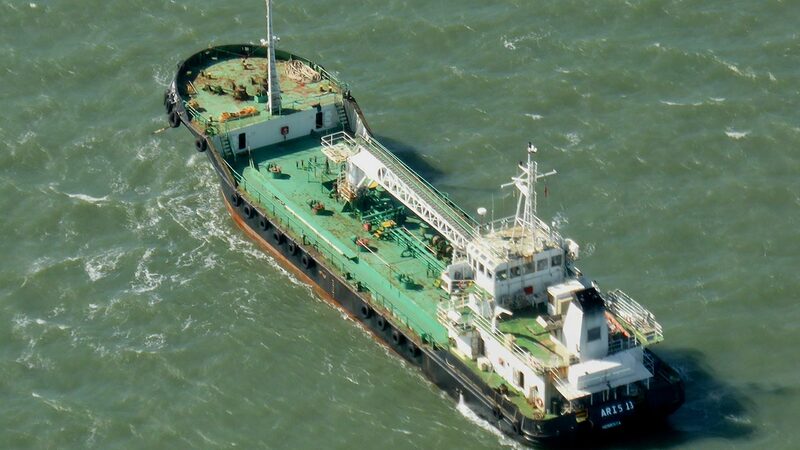 MOGADISHU, Somalia -- Pirates have hijacked an oil tanker off the coast of Somalia, Somali officials and piracy experts said Tuesday, the first such seizure of a large commercial vessel on the crucial global trade route since 2012. The Aris 13 on Monday reported being approached by two skiffs, John Steed with the organization Oceans Beyond Piracy said. The ship was carrying fuel from Djibouti to Somalia's capital, Mogadishu, he said. Eight Sri Lankan crew members were aboard. Sri Lanka's foreign ministry said the ship was not registered under a Sri Lankan flag, but it confirmed that eight Sri Lankan crew members were employed on the vessel. In a statement, the ministry said it was in touch with shipping agents and officials abroad for more information to help ensure the crew's "safety and welfare." Gambrell reported from Dubai, United Arab Emirates. Associated Press writers Adam Schreck in Dubai; Bharatha Mallawarachi in Colombo, Sri Lanka; and Ben Curtis in Nairobi, Kenya, contributed to this report.